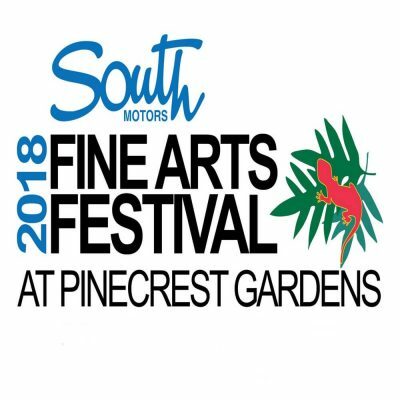 Pinecrest Gardens seeks artists for its annual fine arts festival, held January 20 & 21, 2018 in Pinecrest, Florida. Best in Show/Best in Each Category. Fine Art Only. Sculpture, Metal, Wood, Ceramics, Mixed Media, Painting: Acrylic, Oil, & Watercolor, Graphics, Jewelry, Photography and Fiber. $25 application fee. Deadline: December 22, 2017. More info. Contact: email ​or call 305-669-6990. Please send me relevant details for this event at your earliest convience.